KIDS FIRST! 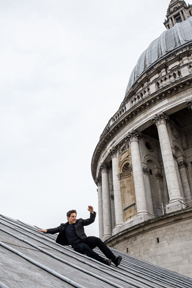 News » Blog Archive » Mission: Impossible – Fallout: Full of Adrenaline-Pumping Action. Best MI Film Yet! 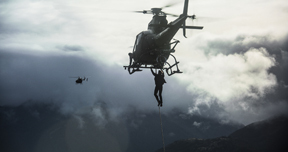 Mission: Impossible – Fallout: Full of Adrenaline-Pumping Action. Best MI Film Yet! 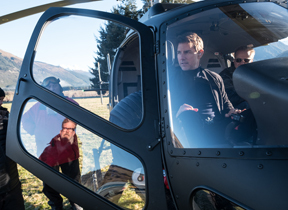 Ethan Hunt and the IMF team join forces with CIA assassin August Walker to prevent a disaster of epic proportions. Arms dealer John Lark and a group of terrorists known as the Apostles plan to use three plutonium cores for a simultaneous nuclear attack on the Vatican, Jerusalem and Mecca, Saudi Arabia. When the weapons go missing, Ethan and his crew find themselves in a desperate race against time to prevent them from falling into the wrong hands. KIDS FIRST! 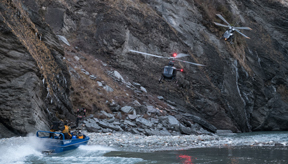 Film Critic Ryan R. comments, “Mission: Impossible – Fallout is … full of adrenaline-pumping action! 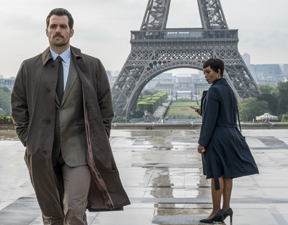 I believe that this is the best summer action / adventure film of the year and the best Mission Impossible film to date.” Talia J. adds, “Mission: Impossible – Fallout is one of the most action-packed films of the year, and perhaps of the entire Mission: Impossible franchise. The legendary Tom Cruise never fails in making cutting edge films and surely he has not let his fans down in this one.” See their full reviews below. So far, this summer’s action and adventure films have been very boring. 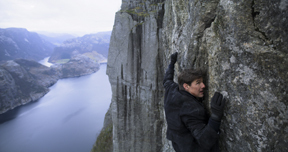 However, Mission: Impossible – Fallout is far from boring. It’s full of adrenaline-pumping action! I believe that this is the best summer action / adventure film of the year and the best Mission Impossible film to date. In this film, we see Ethan Hunt (Tom Cruise) as he receives a mission he chooses to accept, but fails to complete, because of an ambush. As a result, Ethan and his IMF team must work together with the CIA and other familiar allies to stop Solomon Lane (Sean Harris), John Lark (Henry) and his group, known as the Apostles, from trying to execute a nuclear threat to the world. What I really enjoyed about this film are the sound designs, stunts, plot, cast and all the mind-blowing illusions IMF uses to trick the bad guys. I must say, the sound design is fantastic. The audio for explosions and gunshots sound authentic. It sounds so real that I felt as if I was in the scene. The stunts are intense because, if you don’t already know, Tom Cruise does all of his stunts. When he performs them, it is hard to watch since he jumps off of many things such as planes and buildings. I felt so nervous that these stunts are real. The stunts are so nerve racking because most of the movie isn’t made with CGI’s, so most of the stunts are done exactly how the movie shows it. The story is very interesting. I like that you really don’t need to see the other films to understand what goes on in this one. The cast overall is superb. Simon Pegg and Ving Rhames are excellent as the IMF, since every delivery is spot on. I like that Benji is the most nervous character and you feel what he feels when a dangerous event happens. Also I enjoyed the performance of Sean Harris, who really brings in the mystery of this character, since he doesn’t speak a lot until the end of the film. Rebecca Ferguson, as Ilsa Faust, makes a great curious assassin, since she always goes the opposite way of the IMF and always finds something different and important, which helps the IMF. Also, Angela Bassett and Alec Baldwin’s performances as Erica and Alan are fantastic. I like how their relationship is shown as contradictors, because they both argue their own points. It is a shame we don’t get to see more of this in the film. Henry Cavill, as August Walker, is also fantastic. I like how Ethan and August have different ideas about what they should do in the missions and they both try to incorporate their ideas, but those ideas come at a cost. I really like how each scene feels more intense than the last scene. At one point, I thought that the movie was going to end a certain way and I was so nervous about what was going to happen that I almost fell out of my seat. Finally, what I extremely like about this movie is the tricks the IMF use to trick the bad guys. In certain scenes I was surprised that it was an illusion. My favorite illusion is the masked one where Benxi wears a mask that allows him to look like anyone. This movie had a lot of great things going for it. The only thing I did not like about it is that it shows way too much in its trailer. However, it is fantastic. I give it 5 out of 5 stars and recommend it to people who like action / adventure and thriller movies. I recommend it for ages 13 to 18, as well as adults. 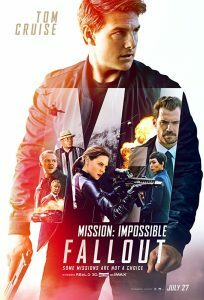 Make sure to see Mission: Impossible – Fallout when it opens July 27, 2018. 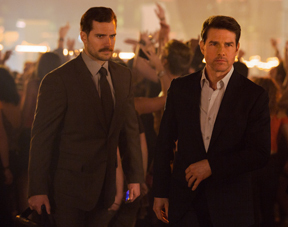 Mission: Impossible – Fallout is o ne of the most action-packed films of the year, and perhaps of the entire Mission: Impossible franchise. The legendary Tom Cruise never fails in making cutting edge films and surely he has not let his fans down in this one. This film is a continuation of Mission: Impossible – Rogue Nation. The story follows the agent Ethan Hunt (Tom Cruise) as he embarks on another dangerous mission with his fellow teammates, Benji Dunn (Simon Pegg) and Luther Stickle (Ving Rhames) to stop a catastrophic event from taking place. I have been a very big fan of the Mission Impossible films for many years. I have watched t hem all and enjoy them very much. That being said, this film feels very different from the others. This storyline is very intricate and complex so, if you miss a piece of dialogue, it’s very easy to get lost. It has always been easy to grasp what’s happening in the other films in the franchise, but this one is quite overwhelming. There are a couple of new characters introduced including the spy August Walker (Henry Cavill) and they bring back characters from past films. If someone missed the last film, it will be almost impossible to keep up with the story line. I highly recommend rewatching the previous film, just to jog your memory. One thing that makes this film different from past ones is the deep emotional connection Ethan Hunt faces in this film. It really goes deep into Ethan Hunt’s mind and shares his greatest fears with the viewer. I enjoy that this film gets more personal and cuts deeper into who Ethan Hunt really is as an individual and not just as an agent. The action scenes are absolutely insane. There are car chases, motorcycle races, jumping off roofs, mountain climbing and way too many more for me to begin to describe. It’s a very big cliché, but I was actually on the edge of my seat throughout the entire film. The fighting scenes are very climactic and interesting. The scene I looked forward to watching most is the scene where Tom Cruise actually injured himself performing a stunt. Yes, he broke his ankle performing a stunt! And, the best part is, they kept that scene in the film. 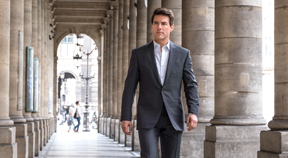 Tom Cruise has shown time and time again how he is devoted to this franchise. He is an extremely talented actor and makes the films jaw dropping. He brings much needed humor and intensity to this film. This film is one to definitely go see. It is entertaining with its captivating fight sequences, goes deeper into Ethan Hunt’s psyche, and still keeps the story light and fun to watch. I recommend it to ages 14 to 18, as well as adults. You should know that there is lots of rough fighting and bloody shots that are inappropriate for younger children. I give this film 4 out of 5 stars. It opens in theaters July 27, 2018 so put it on your watch list. This entry was posted on Saturday, July 28th, 2018 at 2:28 pm and is filed under Feature Film Reviews. You can follow any responses to this entry through the RSS 2.0 feed. Both comments and pings are currently closed.